Help Dad have a refined shave with the Pure Romance Titan Shave Cream! 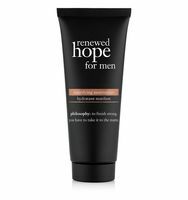 The skin-conditioning formula contains premium ingredients that will protect Dad's skin from irritation, razor burn, and a shave that’s anything less than impeccable! This is the perfect gift for a Dad that wants a close shave! The Tresor Rare Aftershave Lotion for Men is a fresh, ultra-rich lotion that is ideal for Dad's grooming needs. The lotion is formulated to assist in hydrating, balancing and nourishing the skin especially after shaving. Enriched with a masculine scent, the aftershave lotion helps soothe away razor burn without a trace of shine. The lotion will help energize Dad's skin to make him feel refreshed! Give Dad a refreshing shower experience with the Pure Romance District Clean 2-in-1 Shampoo and Body Wash! The body wash will effectively clean Dad's hair and body, leaving behind a masculine District scent! Help Dad grow healthy hair fast with the evolis Professional PROMOTE Activator! The Activator accelerates hair growth, lengthening hair by 20%*. It uses an exclusive proprietary blend enhanced with Baobab to fortify and protect and prevent future damage while conditioning and hydrating hair. Dad will use this activator twice a day on damp or dry hair for stronger and fuller hair! ​Help Dad take care of his skin with the BEYOND THE SHAVE set by Rodan + Fields! The set was created to address men's shaving needs. This three-step Regimen is clinically tested to calm razor irritation and reveal better-looking skin. The set includes an UNBLEMISH Acne Treatment Sulfur Wash that softens facial hairs for less razor bumps, a Sensitive Skin Treatment which comforts and moisturizes freshly shaved skin and a REDEFINE Triple Defense Treatment that smooths and protects skin. Give your Dad a "rich" experience with the Rick Ro$$ nine-piece men’s collection which includes hair care as well as skincare. Each product contains a trio of luxurious, outside-of-the-box ingredients: caviar extract, champagne and hemp seed oil. You won't have to break the bank for the RICH line for Dad as each product is very reasonably priced! Get Dad feeling and looking healthy with DrJsNatural Essential Hair, Nails, & Skin Vitamins! The vitamins contain high doses of biotin and calcium which both help to promote efficient collagen production and assimilation of protein and minerals necessary for stronger and thicker hair, skin and healthy nails. Dad will look and feel great in no time! Give Dad an invigorating treatment straight from Iceland with the Blue Lagoon Iceland Foot Scrub! The scrub stimulates circulation and leaves Dad's feet feeling smooth and revived. The scrub should be used 2-3 times a week and contains natural ingredients straight from the Blue Lagoon including silica and minerals. This is a gift Dad will love to use!